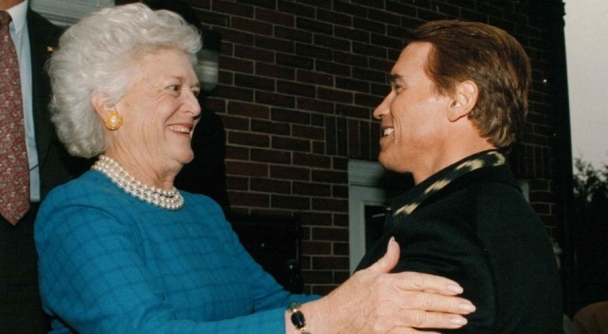 Barbara Bush was a truly great American. She might be best known as the wife of one President and the mother of another, but those of us who knew her well know that she could have easily done the job herself. She was strong, she was smart, she was classy, and she was unfailingly kind and giving. She was a public servant in every sense of the word. I will always be grateful to her. She welcomed me and treated me like family, she motivated and advised me, and she was always there for me. She put everyone else before herself, but let me tell you: when Barbara talked, you listened. Once, at Camp David, she broke her ankle while we were sledding, and I will never forget her response. She refused to let any of us go with her to the hospital and demanded that we keep enjoying ourselves. That’s Barbara in a nutshell, and I can imagine her saying the same thing right now. Barbara, your friendship meant the world to me. Thank you for your never-ending inspiration.